Sam Tshabalala counts as one of the most important South African composers. His career began at the end of the 70s with the Malopoets. They recorded their first album with Johnny Clegg’s producer and other albums followed produced by Virgin, EMI and Gallo. He had a first European tour in 1983 and America in 1985. 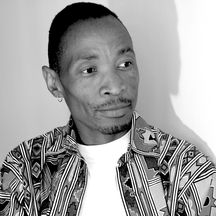 During a second European tour in 1989, Sam Tshabalala decided to remain in exile in Paris, where in 1993, together with other musicians from the African music scene, he founded his band Sabeka. In its first year, the band was invited to perform in Paris to welcome Nelson Mandela on an official visit in 1993. Through the agency "Griot", there followed many appearances and tours. In 1997, the first performance in Germany proved a success: one of their concerts at Nuremberg was broadcasted by Bavarian Radio (BR). In 1996, WDR Television broadcasted Tshabalala's musical contribution live from a matinee at the Cologne Philharmonie. He featured in several TV shows and performed several concerts on the Expo 2000 in Hannover and "Africa at the Opera" in Dresden.